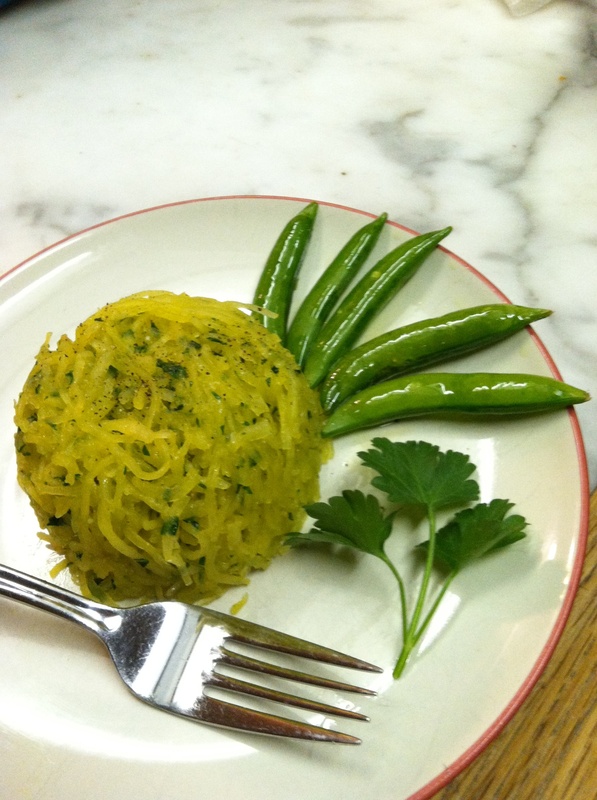 Have You Considered the Lowly Rutabaga? 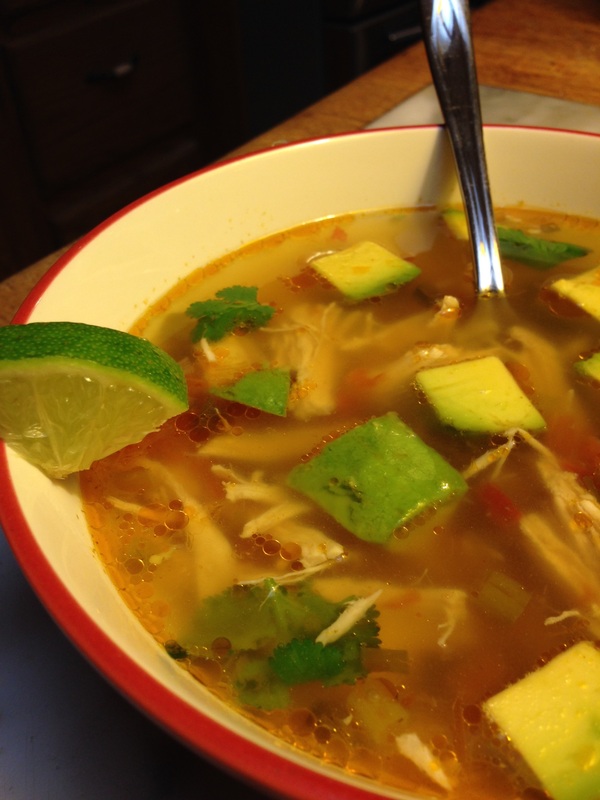 Click the link below for Jan’s post and more photos and recipes. PS: If the copyright owner of the rutabaga photo wants me to take it down, contact Steve Parker, M.D., and it shall be done posthaste. Ingredients this time are the sprouts, dried rosemary (i.e., not fresh although it’s a landscaping plant where I live), salt, pepper, extra virgin olive oil, fresh garlic, and diced onion. This is my favorite roasted Brussels sprouts recipe thus far. For an extra flavor zing, sprinkle with some Parmesan cheese just before eating. In the future, I may top the ingredients with some other type of cheese a minute before the cooking is completed. Of course, if you eat pure paleo, you don’t eat cheese. Bacon bits are another tasty option. A year ago I ran across online praise for roasted radishes. I’m not a big fan of radishes, perhaps because they weren’t part of Parker family cuisine when I was growing up, but I finally gave them a try. We’ve noticed in our corner of the universe that steaks are getting more expensive. Sous vide cooking allows us to use a cheaper and tougher cut of meat and it comes out very tender. The method often yields foods that are also more flavorful and juicier compared to other cooking styles. They’ve always been good recipes—accompanied by all-important nutrient analysis—but they’re even better now. They’re not necessarily paleo-compliant, but many of them are. “Our low-carb recipe site is probably already the most popular one in the world, with over 100,000 daily pageviews, several hundred recipes and gorgeous images. Now we’re adding even more great functions.You can now change the number of servings for recipes – the ingredient amount will correspond to the number of servings – and you can now also choose between the US or the metric measurement systems for ingredients. All to make it simpler to use our recipes. Author Alfie Mueeth tells me via email that his new recipe book will be available for free “tomorrow.” I don’t know what time zone Alfie’s in, so I don’t know when tomorrow starts and stops. Tomorrow for me is December 7. Posted on October 5, 2016 | Comments Off on Why Not Try Gazpacho? Comments Off on Why Not Try Gazpacho? This blew my mind. 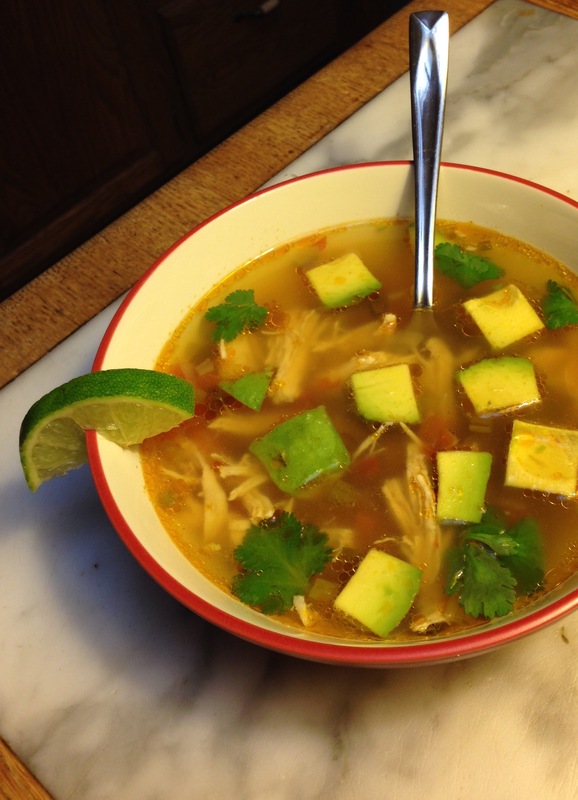 Avocados in soup? Yeah, I was skeptical, too. But it works amazingly well. Since I provide the nutritional analysis below, you can easily work this into the Low-Carb Mediterranean Diet, Ketogenic Mediterranean Diet, Paleobetic Diet, or Advanced Mediterranean Diet. Heat up the olive oil in a large pot over medium heat, then add the green onions and jalapeño; sauté until tender (1–2 minutes) then add the garlic and cook another 30 seconds or so. Next into the pot goes the chicken broth, cumin, tomatoes, chicken breasts, and optional salt and pepper. If adding salt, I’d wait until just before serving: taste it and then decide if it needs salt. Bring to a boil with high heat, then reduce heat but keep it boiling, covering with a lid while the chicken cooks through-out. Cooking time depends on thickness of the breasts and may be 15 to 45 minutes. When done, it should be easy to shred with a fork. Reduce heat to low or warm then remove the chicken breasts and allow them to cool for 5–10 minutes. When cool enough, shred the chicken with your fingers and return it to the pot. Add the cilantro. Ladle 1.5 cups (355 ml) into a bowl, add one fifth or sixth of the avocado cubes (half of an avocado) and the juice of 1/4 to 1/2 lime. Enjoy! PS: If you’re not eating pure paleo, you can fancy this up just before serving by adding a couple large triangular corn tortilla chips (broken into a few bits) or half of a 6-inch (15 cm) corn tortilla (first, microwave for 20 seconds, then break into chunks). Both items each add 5 g of digestible carbohydrate; the tortilla chip option adds 60 calories and the corn tortilla adds 25 calories. Shredded cheese might be a nice topper, too. A New Cookbook: Does “Primal” Now Always Refer to Mark Sisson’s Version of the Paleo Diet? Posted on July 9, 2015 | Comments Off on A New Cookbook: Does “Primal” Now Always Refer to Mark Sisson’s Version of the Paleo Diet? Carolyn at All Day I Dream About Food brought my attention to a new cookbook called The Primal Low-Carb Kitchen, by Kyndra Holley. When I see the word “primal,” I think of Mark Sisson’s version of the paleo diet. I’m no expert on Mark’s diet, but off the top of my head I know it includes dairy products. Also, one of the Amazon reviews of The Primal Low-Carb Kitchen mentions use of green beans, a staple in low-carb diets but not considered “paleo” by many because they’re legumes. So a paleo purist will find some recipes they won’t use. I bring this to your attention mainly for the book’s inclusion of basic nutritional analysis like carb counts and calories. That’s important if you have diabetes, prediabetes, or are overweight. 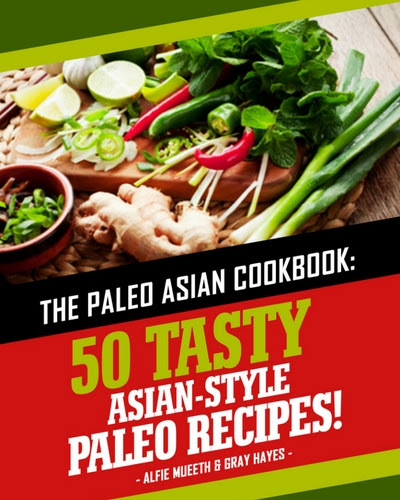 I wish more paleo diet cookbooks provided the same info. If I’m wrong about Kyndra’s book being paleo-friendly, let me know. Comments Off on A New Cookbook: Does “Primal” Now Always Refer to Mark Sisson’s Version of the Paleo Diet? Both of these weighed about 4 pounds (1.8 kg). 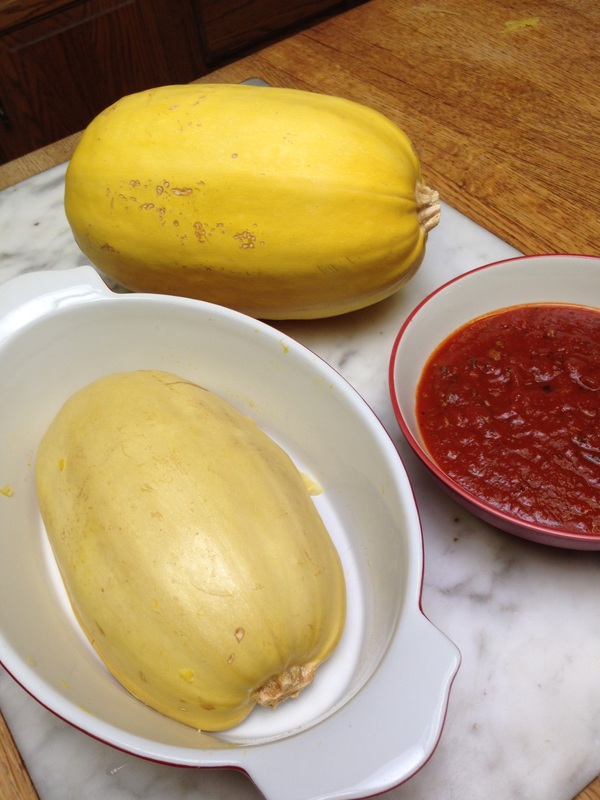 The pale yellow half-squash is cooked. 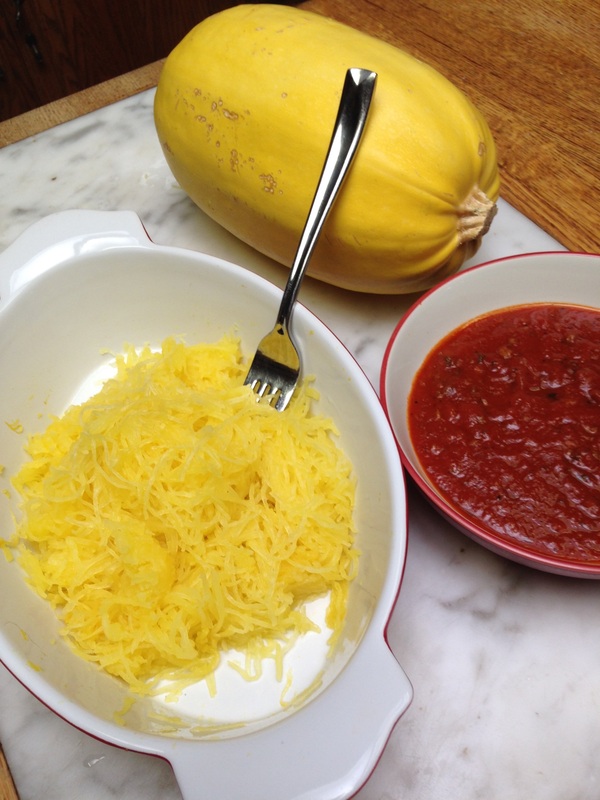 The meaty red sauce is low-carb. 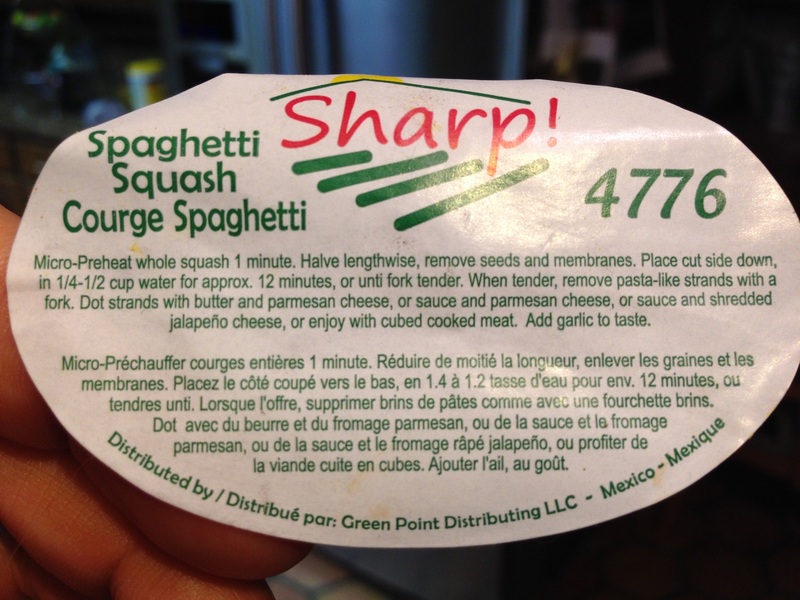 A different squash had a different stuck-on cooking method that involved both microwaving AND oven baking. Why make it so complicated? 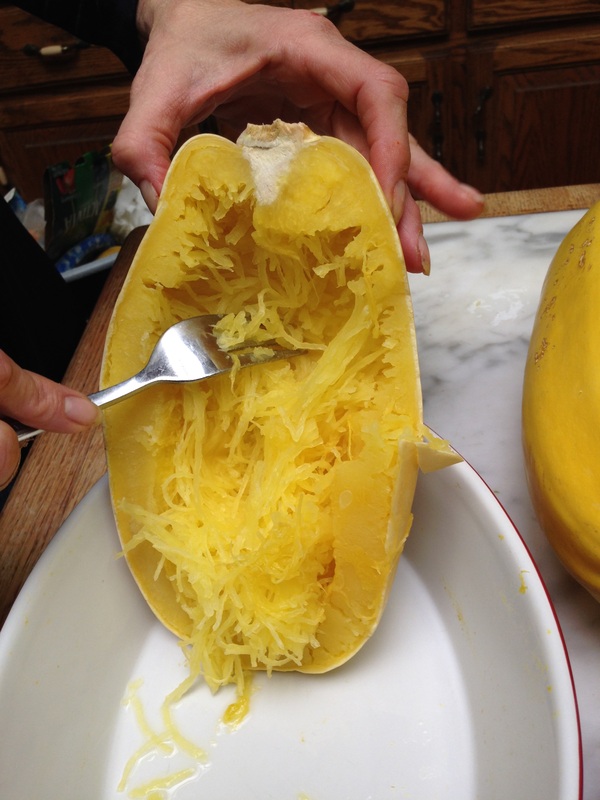 In the northern hemisphere, the spaghetti squash season is autumn and winter. Purchasing in spring and summer may be iffy. We tried one out of season and it was inedible. 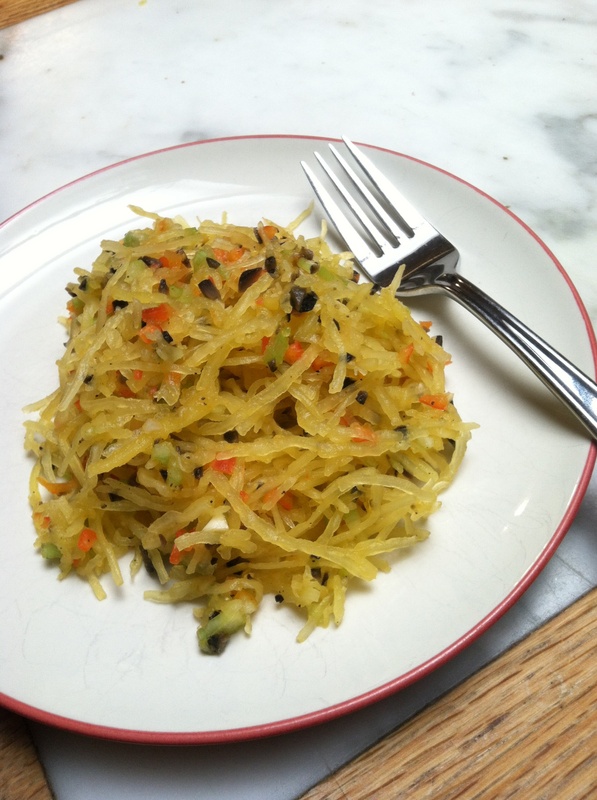 In case you’re eating paleo-style, the following recipes are paleo-diet-compliant.